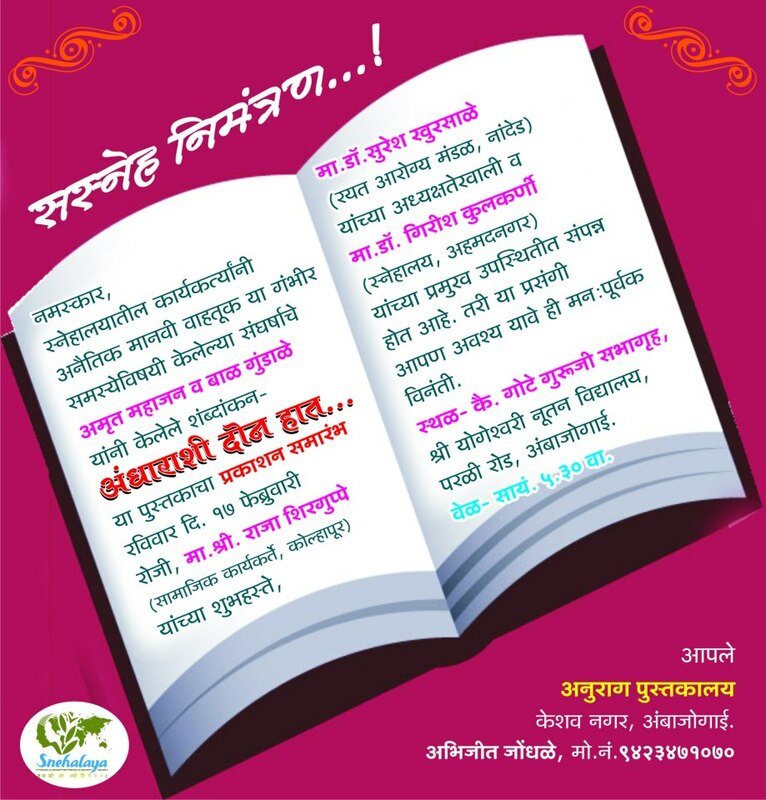 We cordially invite you & your family to the publicaton ceremony of "Andharashi Don Haat...", a book on the struggle of Snehalaya's activism against human trafficking. The publication ceremony will be on 17th February, 2013 at 5.30 PM at Late. Gote Guruji Sabhagruh, Shri. Yogeshvari Nutan Vidyalay, Ambejogai, Dist. Beed in Maharashtra. Do you have a spam issue on this blog; I also am a blogger, and I was wanting to know your situation; we have created some nice practices and we are looking to trade techniques with other folks, be sure to shoot me an e-mail if interested.